In other words, fraud software is good – but it simply weeds out the less talented fraudsters. Our chargeback mitigation software was designed with this in mind. Designed to be your first line of defense in chargeback prevention and to be used alongside your fraud detection software, this unique service uses its relationships with the card issuers to alert you to user-confirmed fraud and customer disputes so you can take care of an impending chargeback before it’s been issued! Now: The bank flags the card because of a customer inquiry or fraud alert. 45 min: The cardholder confirms the fraud or they want to dispute the charge. The cardholder hasn’t even contacted you! 1 day to 6 weeks: You are notified of the chargeback. You lose the cost of the sale, plus an additional chargeback fee and possibly other fees associated with excessive chargebacks. Now: The bank flags the card because of a customer inquire or fraud alert. 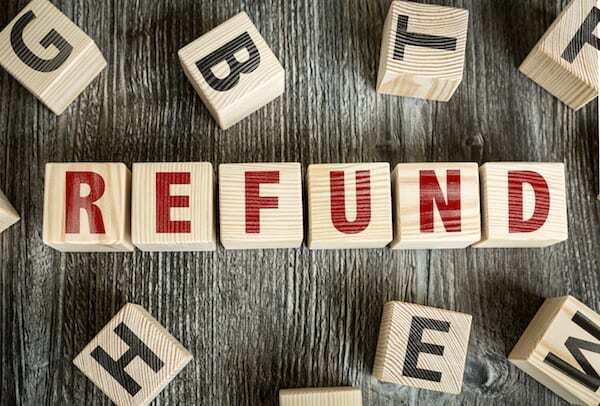 Remember – chargebacks should only be issued if a return has not been processed first. With our service, you’re notified about client-confirmed fraud and consumer disputes, with no guesswork. This is effective chargeback management and allows you to reduce your chargeback ratio successfully. All you need to do is take action on the information you receive before the chargeback is issued. We offer several options to fit our client’s needs to reduce chargebacks. For those of you who are looking for a complete alerts network software solution, we offer a web portal where you can see your alerts on the dashboard and run reports. For customers who already have a fraud review system and want to work within their own software, we also offer a batch file of your alerts. Both options allow for automated alert review (via an API) to increase your business efficiency. However, you can also manually refund the transaction from within the portal. Avoid the entire chargeback process, we stop chargebacks before they happen. Avoid financial losses due to fulfillment of goods after a chargeback has been created. Protect your company from excessive chargebacks by customer experience and fraud. Thousands of merchants worldwide use this software to stop chargebacks before they begin. If you’d like to become one of them, just give us a call or fill out the form on the right to find out more or to have someone walk you through the process of integrating the service with you system – 1-800-570-1347.